All instrumental, original blues fusion that is fuel injected with funk, jazz and rock, with a unique style and contagious melodies interwoven with tasteful slide guitar. 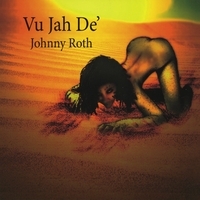 Vu Jah De'" is Johnny Roth's long awaited second CD release since his 2003 album titled "still not talkin'". It consists of 8 all original instrumental tracks. Fans of Allman Brothers Band instrumentals are guaranteed to love this tastefully executed instrumental electric guitar album with plenty of slide. But besides the southern-rock vibe, Pennsylvania-based Roth impressively channels jazz masters such as Larry Carlton and Lee Ritenour and, to a lesser extent but just as effectively, funk greats like Steve Cropper and Leo Nocentelli. On the jazzier side, the title track fuses smooth-jazz sounds with reggae for an effect akin to Steely Dan’s “Haitian Divorce.” “Funki Taki” is all the name implies, with more Leavell-sounding piano and some nice Takamine EF261s acoustic/electric fretwork (Roth uses a 1956 Les Paul on the rest of the CD), recalling both Sea Level and SD.